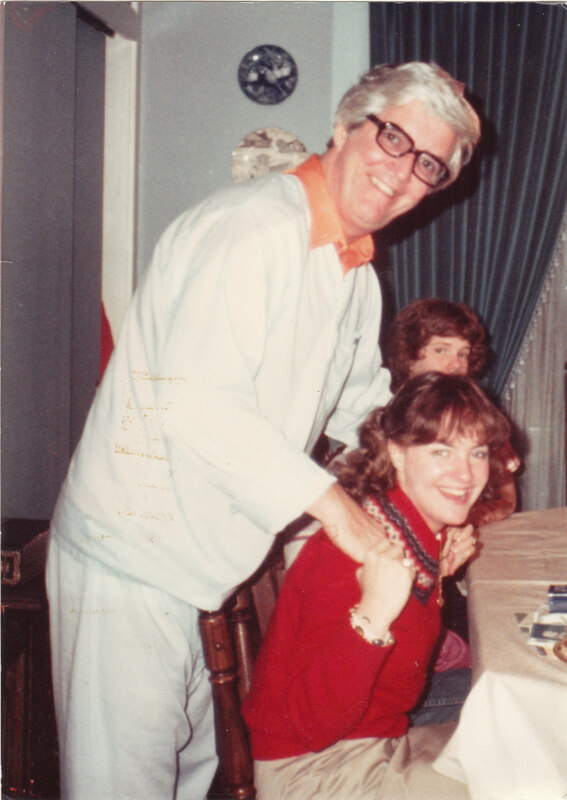 My father was a bookie for the mob, while my mother, a fundamentalist fashionista who loved leather pants and mink coats, sent her daughters to a Baptist school with an extreme dress code. So, I was born into a family whose mafia loyalty was matched only by evangelical fervor. Mine was a childhood gambled on God and the mob. It seems appropriate then, since the WordPress writing challenge this week about the “golden years” welcomes participants to share a memoir piece, that I post what could become the new first chapter of my work in progress, Kids Make the Best Bookies. And since that chapter describes the event that essentially ended my childhood, forcing me to behave as a criminally adult way, it seems a perfect response to the prompt. I hope you enjoy. We have buried Daddy–the funeral, a few days ago. It’s Saturday afternoon. The sun shines bright, as a plane banks low and loud overhead, overtaking the roar of traffic below on Evergreen Road. The maple tree in the Martrano’s yard is now beginning to bloom—oblivious to our loss. In some ways I’m relieved that my dad’s drama has ended—the grand jury indictments, the FBI raids. They’ve exhausted me. So, at 19, I map my own regrets, even as I descend the steep steps at the front of our house, in Calvin Klein jeans and a yellow Izod sweatshirt, my Tretorns like white lights against the gray concrete. Behind me, my mother’s hair is teased into wings—the flying nun, taking her cause to Pittsburgh streets. I hear her high heels hit each step, a clickety-clack tap dance around the letter of the law. Surely, there’s some justice in this journey. Just yesterday, I agreed to take Mommy on this final ride—an effort to cash in on the gambling debts still owed Daddy when he died. She doesn’t know where to go. I do. I’ve done this a number of times with my father, an outing that always involved lunch at a restaurant of my choosing, a Shirley Temple to drink, and any dessert I wanted, a special treat away from my mother’s cake and cookie rationing eyes. My father liked to involve us kids in other aspects of the book-making business, as well. For example, he posted my sisters and me regularly at upstairs windows during times when FBI raids seemed most likely, especially on weekends, always on Super Bowl Sunday. You see, federal agents have visited our house a number of times, so we’ve lived with the near constant expectation that they might come calling again. Thus, my siblings and I have acted as lookouts. Braided and skinned-kneeed, we’ve been expected to spot government cars as they approach and notify our father. That way he could destroy incriminating documents before FBI agents had a chance to break down our never-secure enough front door. But, now that Daddy’s died, Mommy and I go to collect. My mother drives. I ride shotgun. The smell of leather in Daddy’s dark green Sedan d’ Ville mixes well with the music coming soft from the stereo; Son Songs is the name of the show on Christian radio. Larry Norman’s “I Wish we’d All been Ready” soundtracks our act of revenge on Daddy’s former crime. He was convicted of conspiracy just a few months ago. So, now he’s really doing time. Hard time. Purgatory, the best we can hope for. “The Lord will understand,” my mother assures me. She believes that we’re entitled to this money—that there’s some cosmic morality at work—though I don’t see it myself. In fact, I haven’t considered the spiritual, let alone legal, implications of our collecting this cash. It seems the only option—a great big given in light of the mortal back hand we’ve been dealt. The drive to Shadyside winds along Mount Troy Road, past the turkey farm where my grandmother buys fresh fowl for Thanksgiving every year and past the very cemetery where Daddy is buried. Eventually, we cross the river—Baum Boulevard’s Win, Place and Show our first destination. With the envelope I collect there in hand, we drive further through East Liberty toward Oakland, past Shenley Park to the restaurant named after it and finally track back to Ross Township and Rico’s, the Italian restaurant up on the hill overlooking Babcock Boulevard and what’s become of Pittsburgh as it sprawls to the north. At Rico’s the real action happens. Mommy pulls into a parking spot near the front door. She stays in the car. I run in to collect. Cheech has left a package behind the bar—five dimes rubber banded in a brown envelope, or so I’ve been told. But when I turn to the left, just inside the front door, there, behind the bar is Rico himself in a white chef’s apron and beyond that at a table near the far window are the “I” brothers, Emilio, Bobby and Joe. Uncle Emil looks up just as I come in. “Watcha doin’ here, Sweetheart?” he asks. I walk toward the picture window, my white patent leather purse slung over my right shoulder, twisting the signet ring Daddy gave me the previous Christmas. The “I”s smoke cigars and sip espresso from tiny white cups. Remains of chocolate cheese cake decorate their plates. The coffee aroma is rich, even thick, a syrup of scent that will stay with me for days. “She sent you in here?” Bobby asks, up out of his chair. “Gimme that package,” he gestures to the chef, who’s enjoying a stogy of his own. Rico obliges. The sound of baseball blares in the background. “Let’s talk to your mother, Sweetheart.” Bobby leads the way. I follow. Joe and Emil bring up the rear. This can’t be good. Bobby pushes his way into the parking lot, letting Joe hold the door for the rest of us. Seeing us coming, my mother lowers the electric driver’s side window. “I volunteered,” I offer in my mom’s defense. “But Daddy took me to collect all the time,” I argue. My mother sits, silent, tapping her wedding ring on the steering wheel. At the end of the day, we’ve collected 10’s of thousands of dollars, enough to finance our move to Lexington, Kentucky, where my mother’s sister and her minister husband live. There in thoroughbred country, Win, Place, and Show become more than the name of a bar where my father used to work. It seems we’ll be jumping from the mafia frying pan into a fire of evangelical fervor, just another number’s game but this one more to my mom’s liking. Still, now that Mommy, too, has taken me to collect, there seems to be only one thing both parents agree on—the fact that, sometimes, kids make the best bookies. Although this story describes an event that, essentially, ended my childhood, do you think it would work as a first chapter in a memoir that’s about being a kid? What’s the benefit of starting a book with the ending and then flashing back again to the actual beginning? What event ended your childhood? To read another interesting post about my childhood and to see pages from my father’s FBI file, click here. This entry was posted in childhood, memoir, organized crime and tagged bookies, childhood, DPchallenge, FBI, gambling, God, mafia, memoir, mob, organized crime, Pittsburgh, WPlongform, Writing. Bookmark the permalink. As for what event ended my childhood, that’s a long story, but the short of it is becoming a mother at a very young age. Yes, that would definitely end a childhood. Didn’t know that about you. Glad you enjoyed the story, and so glad you enjoyed this new beginning. Several folks who had heard this story insisted it had to be the beginning of the book. Glad you concur. I LOVE hearing from you, Robin. Hope you have an awesome day! Fascinating, and I became emotional reading about your experience. Many important and favorite pieces of storytelling I have read begin with the ending. I refuse to end my childhood. THAT’S wise of you, dear Robert. NEVER end your childhood. I’m convinced that’s one of the things I enjoy about you. Plus, your comments always make my day brighter. Thanks for reading and taking the time to leave a comment. You’re awesome, my friend. I rarely read. But as I sit here I “want more”. Geez, what a way to begin a book. I’m hooked. Ahhh, what ended my childhood..maybe the birth of my younger brother when I was 10. My dad immediately began telling my older brother and I that “he would not live to raise that boy and that we would have to take over”. Almost a monthly ritual of reinforcing the idea. He had had a heart attack in 1958 when I was 6 and we began living on social security because he was disabled. I guess he figured his days were limited. He died when my younger brother was 11. At least I knew what was expected of me. Whichever Roger you are, please know you have made my day. If you are not a reader and this drew you in and made you want to read me, that tells me I might be on to something. Thank you, thank you, thank you. So sorry to hear you lost your father at a young age. Having a baby brother to care for, as well as a sick dad, would mature any kid. Wonderful to hear from you today! How funny! I hadn’t thought about my Tretorns in years, until I began writing this. Funny how that happens. I can’t tell you how thrilled I am that enjoyed this new beginning. THANK YOU so much for your kind and supportive comment. You have made my morning! Hugs to you! Thanks for the encouragement! You’re a sweetie! You’re definitely making progress on the memoir and this has become compelling. Is it really the ending though? You’ve clearly got to backtrack in time, but you’ve also hinted at a future reflection of that past. Opening with this chapter I would expect you to be bouncing back and forth in time between your life pre and post your father’s death, laying out the indulgences next to the depravations and the twisted logic next to the twisted logic. I continue to look forward to wherever you end up in the final piece. Yes, yes, Lisa. I will definitely flash back from here. However, I’m also setting up what will be the names of book’s sections. Instead of Part 1, 2, and 3. They will be called Win, Place, and Show. I’m also setting this up for a sequel that will take continue the story once we move to Lexington. I’m learning more and more about memoir and the fact that the frame your story covers is pretty important, as well as where you choose to begin and end. Fabulous comment, Lisa. Your feedback means SOOOOOOO much to me! Thanks for reading! Your stories about your dad and childhood are fascinating — the only thing I would say is that in the first chapter, I wouldn’t give so much away about the future… but unfold it as you’ve done so beautifully in the chapter. I love the dialogue, too!! THANK YOU so much for the feedback, Betty. And THANK YOU for reading. I SO appreciate any strategy I can use to improve this beginning. I had wondered about that next to last paragraph, so thank especially for mentioning it. Two posts back there is one that I think is actually more interesting, as it incorporates pages and information from my dad’s FBI file. Makes me realize I should probably have linked to that here. Wonderful to hear from you, Betty! A terrific kickoff — the word picture you painted reeled me in hook, link, and sinker! Thank you, Laurie. So glad you enjoyed it. And I’m so happy to hear from you this morning. Hope you have a great day, you spicy lady, you! Great feedback, Cathy. Thank you! I will look at places where I can include more of my feelings. I struggle with how to do that without telling rather than showing. Don’t know why that’s such a challenge for me. Thanks again for reading and leaving such a helpful comment. I need these kinds of suggestions and honest feedback. You all are awesome readers! Thank you so much for mentioning the book, Cathy. I will take a look. What a great quote. Thank YOU SOOOOO MUCH! Great title, by the way. I’m hoping I can find it on Kindle. Otherwise, I’ll have to wait till my next trip back to the US. Thanks again for the feedback and recommendation! Hugs to you, too!!!!!!! Wonderful, Kathy! This is a grand place to start, as it leaves you able to move on to the history without having to foreshadow this critical event…the story can then unfold as it felt in the moment, rather than from the adult perspective of it being wrapped up with this loss. A perfect beginning! Thank you for sharing! Thank you, Cindy. I’m so glad you enjoyed reading this, and I SO appreciate your sharing why. You have articulated well one of my strategies. Hope you are having a good week. I love hearing from you!!!! I like starting out the beginning this way. I’m p.m.’ing you a comment. And as usual, mummy can’t wait to read the whole thing. Love and Hugs…..
Oh, Janice, I’m so happy to hear from you today. You know, you were one of my heroes as a little girl. Please send your mom a big hug from me! Gosh, I’d love to see you all again! And I look forward to your message! As is most often the case…you have written an engaging post….here’s hoping that when the books is released that it climbs to the top of the list of recommended reading…wonderful write. Thank you, Charlie. I hope you are right. Hope it sells well and hope I find an agent soon. Glad you enjoyed this piece. And I hope you have an awesome week! Thank you, Tia. So glad you enjoy the chapter. Hope your week is going well. And I hope things are warming up in your neck of the woods. Kathy, I like it as a beginning for the book. It sets up so many things to be explained. And I love the pictures. I often think I skipped childhood. But have come back to it later in life. Glad you enjoy it, Colleen. I’m pleased to hear it raises questions that you’d like to have answered. Sorry to hear, though, that you didn’t have much of a childhood. At least you’ve now the bike part of being a kid down. LOL Hugs to you and David from Sara and me! Thanks for reading, my friend. 🙂 Thank you Kathy. From both of us. It’s weird. About childhood. I don’t remember a lot. Mostly because I just don’t think about it. There were, of course, good memories. But I have to jump over some things to get to it. Really? I don’t think it was close to that. I mean, maybe compared to how bad one might expect it to have been given the circumstances. To be honest, my mother was not a good parent. In fact, she was a bad one. I hate to say that, but it’s true. I know she tried. But—————— It’s fascinating what folks take away from what I write–really, really fascinating. Great comment, my friend. 🙂 Maybe because you don’t write about the bad things. 😉 I’m glad that considering your mom was “a bad one” you have some fabulous childhood memories. Actually, from your writing, I get the impression of much love. Thank you, dear Colleen! Thank you so much! Hugs to you and have a wonderful weekend! Hugs to you and Sara! Yes, Kathryn, I think this writing would be a good first chapter. You have an ‘earthiness” to your writing that makes it both believable and something to which the reader can relate (I know well the route you traveled with your Mom as I went to school in the Highland Park/East Liberty area and your story brought back memories). Benefits of starting with the ending going back to the beginning? It let me know you had “come through” your unique childhood. I’m so happy to hear you enjoyed the chapter, Diane. And you have articulated so clearly what you think makes it successful. That helps me, as a writer. And it’s fun to know that you know that route. Glad to know it brought back good memories. Thanks for reading–thanks so much! Kathy, this reworked version of the first chapter is very compelling and keeps the reader intrigued. As someone who has always enjoyed a good story, this would definitely keep me reading. I think “beginning at the end” is a perfect place to start, because then you can hopscotch in any direction, and still use that first chapter as an anchor. That event (the death of your father) that represented the end of your childhood, and all the chapters that lead up to that event. Also, I think it is interesting that you are able to still convey how very much you loved your father, and still provide the framework for his business, as well as how your perception of the events as they unfolded were based on living inside the action, versus as an observer. My guess is that maybe chapter two might hopscotch to your first awareness that your Dad’s job wasn’t like most other parents, and how the flash and glamour always had an unspoken thread of danger because of his job, and because of the feds always looking over his shoulder. The way you laid it out in the first chapter is really natural, and yet filled with anticipation. What happened in this girl’s life that brought her to this day? The photos that accompany the text are perfection. Really nicely done, Kathy. Very intriguing, and although it carries a note of tragedy, it also seems to hum with an undercurrent of humor. Hard to achieve that balance. Gosh, thank you so much for this comment. I can’t tell you how much this helps me. Sometimes it’s hard to articulate for oneself why something works or doesn’t work–as you know, I imagine. I like the notion that I could hop around in a number of directions from here. I also like your ideas for the second chapter, though I don’t remember a specific instance in which I gained that awareness. It would make a wonderful chapter, if I did. Wonderful to hear from you today. Hope you are doing well! Absolutely fantastic, Kathy. I’m totally hooked. Your writing is so vivid, all the sights and sounds and emotions, I felt like I was there with you. You have helped make my day, Darla, so thank you! So happy to hear you were hooked. That is awesome to hear. Thanks for reading and taking the time to leave a comment! Whew, this is fascinating and a wonderful read. Was it hard to write this stuff? If it’s bearable I think you should keep going, it would be a great first chapter. Gosh, thank you for your kind comment. I actually have a number of other chapters written. I’ve just gone back and written a different first chapter. What was going to be the first will now be moved elsewhere. I SO appreciate your comment. You have motivated me to keep going, and I can’t thank you enough for that! I like this the best of any of the other chapters of yours that I’ve read. I think it really works. Makes me want to keep reading. Great job! Ha, ha! I know how you feel. Sometimes the comments exhaust me–but I’m not complaining. So happy to hear you enjoyed this chapter. Thanks SO much for reading! I’m just shocked at the duality of her thinking. As a mom, I wouldn’t want my kids anywhere near that possible danger. Your life could literally have been at risk. But it was okay because it funded your move? What? I’m sure there’s some sort of logic there that I don’t get. Also, I think what LITTLE childhood you had ended when your dad died. Let’s face it. Your childhood was not normal and you were forced to do grown up things, and deal with grown up things, at far too young an age. Please understand, I’m not passing judgement. I’m just trying to give you perspective from the outside. That’s how it looks. Thanks so much for the feedback, Sista. You are right. And I know you enough to know you are not passing judgement, but, to be honest, it helps to hear this. Maybe that sounds weird, but it does. So thank you, dear Miranda. You’re a sweetie! You really, really are! Hugs to you, my dear! Wonderful beginning…intriguing, suspenseful, and it makes me want to read more and more. For me, growing up near Pittsburgh, this brought back many memories…Shadyside, Ross Township, Shenley Park, and my favorite Pittsburgese “yinz”. Was the restaurant named Rico’s at the top of the hill in Oakland? Could you ride the incline to go to it? I vaguely remember going to an Italian restaurant in Pittsburgh. We rode the incline to get there. Awesome way to begin a memoir. Thank you SOOOOO much! Funny that you enjoyed “yinz.” Gosh, I remember my mother forbidding me to say that as a kid. Fun also to hear that you remember the neighborhoods I mention. Actually, Rico’s is in Ross Township–North Hills, overlooking Babcock Blvd. I don’t remember eating at the top of the incline myself. But, yes, there are SO many great Italian restaurants in Pittsburgh! Wonderful to hear from you today. Thanks for reading! Suspenseful, intriguing, and full of drama as usual. I happen to like the technique of beginning a story with the end, and then working backwards to fill in the blanks. It’s an immediate hook for the reader, and leaves him or her wanting to press on and find out what happened to get to that point in the first place. Well done! Thank you, Mark. I SOOOOOO respect your perspective, so your nod to this chapter means a lot to me. Hope you and Tara are doing well. And good luck moving into your new place. I forget when that happens, or has it already? And, gosh, your dinner the other night sounded AMAZING! We move on Friday, Kathy! Wow, Kathy! This is a great chapter. I definitely want to read more. It always amazes me how well you remember small details from so long ago. I can barely remember what I had for lunch today. Keep writing! Thanks, Jackie, so much. To be honest, I don’t recall all of the tiny details, but I’m recreating as much as I can from looking at old photos, etc–learning to write creative non-fiction, I guess you would call it. Sara and I visited Rico’s when we were in Pittsburgh last spring, so I took lots of photos, etc. It’s more a matter of detective work and recreation that anything. Glad you enjoyed this. Wonderful to hear from you! Very interesting! Yes, I’d read this book. I read another chapter you posted and really enjoyed it. I think it is effective to start in the midst of the story. It grabs the attention and raises sooo many questions in the mind of the reader that you want to keep reading just to get them answered. Thanks for sharing this. Thank you so much! Glad you enjoyed this chapter and the other one your read, as well. And thank you for explaining why. That explanation is helpful. Hope you’re having a great day. I SO appreciate your reading and taking the time to leave a comment! Sounds like you had the knack for collecting! Very interesting. I love how conservative your Mom was for her kids and yet collecting gambling debts was just family business. Great read. Thank you, Katybeth. Glad to know this part of the story interests you–especially, my mom’s potential double standard. So funny looking back on this now. Wonderful to hear from you. Hope you’re enjoying your day at home! It’s very vivid storytelling, Kathy. I think you’re on the right track opening it here. There’s a Sopranos feel to it and that’s a crowd-pleaser. So, keep doing what you’re doing. Glad you enjoyed this, V. You know I have NEVER watched a single episode of the Sopranos. I only know what others have told me about the show. In fact, NONE of my sibling or mother have watched it. When I’ve asked why, they all agree it hit too close to home. Wonderful to hear from you today. Hope your week is going well. Thanks for reading! Fantabulous beginning! Maybe it’s because I’m an impatient reader, but I love to have some of the story revealed and then the puzzle pieces put back together as I progress through the book. Your mum was one brave woman wasn’t she? I guess she needed that money so much for you all to move on. My childhood ended aged ten in a rather nasty incident, but I’m glad the blinkers came off. It meant that I could make sense of so much that had puzzled me and think about things on my own terms, rather than being fed some ‘protective’ half lies by the adults. All I had to do then was wait until I was old enough to leave home and take control of my own life. I thought those days would never come! Great to hear that you enjoyed this, Kirsten. I can only imagine how hard it must have been to wait those years until you were old enough to lead your own life. Wow. That must have bordered on agonizing. I don’t know what to think about my mom and this part of the story. I don’t know if she’s brave or not. Interesting that you interpret it that way. I still go round and round. Wonderful to hear from you, my friend. Hope you are doing well this week. Kathy, I don’t think I realized your dad died when you were still a teen. I hope you explain how he died, because you’ve left me wondering if it had anything to do with his profession. In any case, no one can say you didn’t have a fascinating childhood. Keep at it. I love the contrast between your parents and can’t wait to hear more! By the way, my dad died of heart attack. No fowl play. Hadn’t even thought to point that out. Funny what one overlooks in the telling of their own story. And, yes, I was 19. Thanks for reading. Great to hear from you! Thank you so much, TB. To be honest, I have a TERRRIBLE memory. In most instances I have the vaguest sense of what happened and have had to go back and fill in the details by looking at photos, asking questions, or only speculating. For years, that kept me from writing this book, as I didn’t understand how creative nonfiction was written. Thank GOD I finally figured that out. So glad you mentioned this, so I could clarify! A good place to start – I found myself trying to imagine what it felt like to be in your shoes and hungry to know what led up to this very big change in your life. Like Robin, my childhood ended when I became a mother at the age of 18. I stopped doing anything illegal then because I didn’t want my kids to grow up without me. That your father could risk jail and arrest while being a parent is very fascinating to me. Thank you so much, Barbara! So glad this worked for you. This always means to much coming from writers like you, whom I admire so much. Interesting to hear how your childhood ended. And, like you, I don’t know how my dad risked what he did either. To be honest there is SO much I don’t understand. Maybe that partly motivates me to write this book. Wonderful to hear from you today! Thanks for the comment. Thank you SO much for the link. I appreciate it! I can’t thank you enough for this comment, Debra. I SO appreciate your feedback and your description of what makes this story work. I could not have articulated this as well as you have. That’s a real gift. My question is this—–would you mind if I quote from this comment as part of my book proposal? I’m looking for statements that potential readers make that I can use to pitch my book to an agent and eventually a publisher. Your comment here is one of the best, if not the very best I’ve gotten. Thank you so much, Debra!!!!!!!! First, this is a fabulous write! Next, I love the pictures. You and your parents were such a classic family, one would never know what lay behind those pictures without your fabulous story. The juxtaposition of your father and mother is so fascinating. Yet, clearly they adored each other. I can’t wait for the next entry. Thanks so much, Val. I SO appreciate your comment. It’s interesting to hear what parts of these posts appeal to people, and you are not alone in mentioning the photos. Plus, you’re right. My parents were madly in love. My mother still tells me that. She hasn’t been on a single date in the 33 years since my father died, if that tell you anything. Hope you are doing well, my friend. It’s wonderful to hear from you! Thanks for the link! I really appreciate it. Kathy, it sucked me in from the start and it’s not really the sort of thing I’d usually read … but I wanted to read more. What ended my childhood ? Wow. That question brought me up short because I’d never realized that there WAS a moment. But there WAS. I was a very naive teenager. Not rebellious. Insecure. I had this huge crush on this handsome grownup. T.F. who came to live with us while his house was being renovated. One evening when my parents were out, the police brought him home coz he was drunk. We phoned my mom at work and she headed home. In the meantime T.F. kept telling me that I should leave and he kept making passes at one of the cops. The cop was very uncomfortable and asked me to remain, ensuring T.F.’s “good” behaviour. When mom got home I fled to my room and sobbed and sobbed. I didn’t know about homosexuals. It was an awful shock to me as I was “in love” with T.F. Fascinating comment, Sybil. I was a naïve teenager, as well, believe it nor not. I was exposed to a lot of things kids shouldn’t be, but I was also sheltered. At that age, I felt attraction to women, but I didn’t know there was a name for what I felt. So I can imagine how someone who didn’t grow up to be gay could be in the situation you were. Sorry you had to grow up in that way. Wonderful to hear from you today. Hope you have a great weekend. Enjoyed this post. So much detail and colour and fast moving narrative. Would make excellent memoir/novel. I think you should go for a novel format because the story telling has so much drama! In any event I am looking forward to any follow up posts to continue on. More power to you! Wow, thank you SO much for this kind and thoughtful comment. I appreciate it more than I know how to tell you. I’m so glad you enjoyed the story. I will bring you more posts as part of this series in the not-too-distant future, so stay tuned. Hope you will stop by again soon! And have a great weekend, in the meantime! Thanks for lovely comment. It was an exciting thing for sure! Enjoying your posts hugely. How wonderful to hear from you! No need to apologize. In fact, look–it’s taken me a couple of days just to respond to your comment. You are not alone in falling behind. Glad you enjoyed the story! Hope your week is going well, Dude! Gosh, you did have some unusual parents (and good-looking). I would love to know over time, how you became the person you were because of all this –did it make you watchful, hyperconscious, etc.? Thank you, Jean. Great questions. I think my childhood made me semi-obsessed with not breaking the law and always doing what I perceive to be the right thing–if that makes any sense. Hope your week is going well, my friend. Thanks so much for stopping by! The first sentence is what GRABS the reader! Thanks, Kimmy. That is excellent feedback. You know, I had never even thought to begin my memoir with that sentence, but it might be a good idea. Wonderful to hear from you, my friend! I love this as the start of your story.Sure, it signifies the end of your childhood, but leaves all kinds of questions unanswered as to how you and your mother ended up in that particular place in time. I love when I story dangles just enough intriguing information to leave me hungry for more. That’s exactly what this chapter does. This is such an amazing story. I remember it from when I first met you! I would hint at what happens in the first chapter, but reveal in the last. Good luck! It’s a process! How wonderful to hear from you, Susie! Thanks for reading and offering some feedback. Glad to hear you enjoy the story. Hope you are doing well! Take care and have a great week! LOL Funny thing is that I have grown up to be a person who is obsessed with obeying rules and doing the right thing–probably a reaction to this childhood. I can’t believe now that I was unable to see, at the time, that this might not have been a great idea. Weird. Thanks for reading, Dana! Thanks so much. Glad to hear you enjoyed the chapter. You have made my day. I SO appreciate your stopping by and taking the time to leave a comment. Hope you’ll come back again soon! Great stuff! I love it! There is great paradox here, wonderful ethical considerations. I was not aware of the religious undertones to your life in this manner, creates even a more challenged shift in life changing moments. What ended my childhood? Joining the U.S. Air Force at 19, getting married at 20! I am playing catch up with your blog, I seemed to have missed a few ! Hugs from the still wintery north! Thank you, dear Jeff. I appreciate your reading. 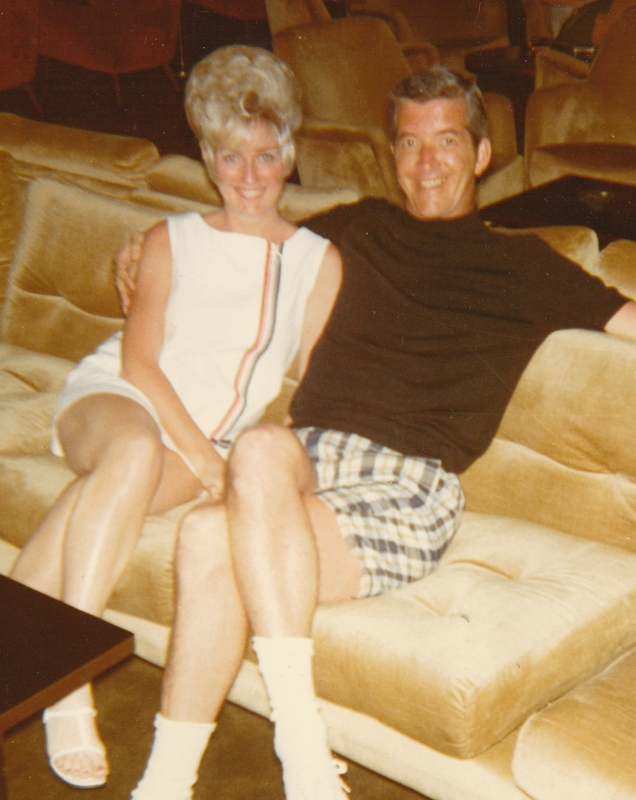 Most folks find it hard to believe how different my parents were. But they certainly loved on another. I didn’t know you had joined the military or been married. Seems so many folks tried to make a go of marriage back in the day. Wow, you are off to a fantastic start! Thank you SO much. Glad you enjoyed it! And it’s wonderful to hear from you today! Luckily I’ve gotten to read this blog before my life ended. Blogged down, and in the process of catching up on your treasure stash of posts. I love this beginning, for a book about childhood or your memoir as you are currently writing it. What my friend Robert says, I agree with — I LOVE stories that begin with the end, or even begin with the middle. To me they are more interesting that way — like, HOW did this person get into this? What happened? Let me read more, quickly, and find out. As for ending my childhood, I’ve reached the point where I doubt I ever will. That’s a good thing, I think. Yes, yes, my friend. Good to never end childhood. And I’m thrilled to hear you enjoy this beginning for my memoir. Hope your week is going well. We just got back from the beach, where we didn’t have internet. Sorry to be so slow in responding here. Hugs from Ecuador! Thanks so much for stopping by!